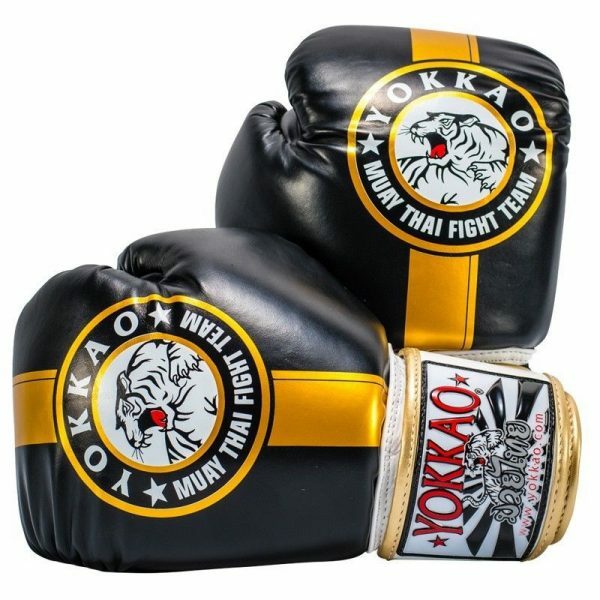 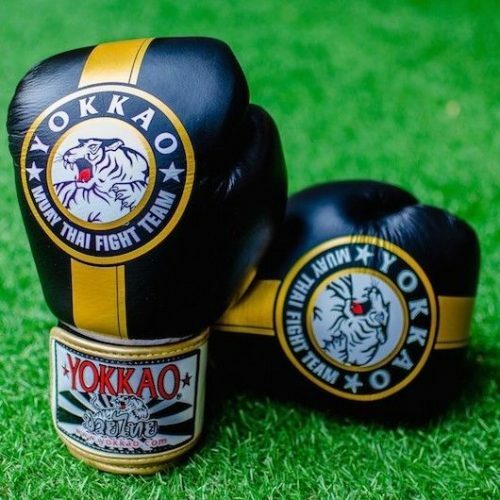 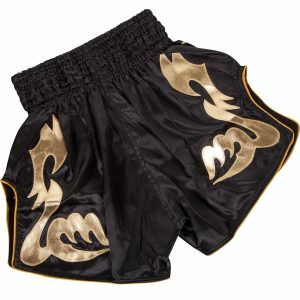 YOKKAO Official Fight Team Boxing Gloves Black Gold features the YOKKAO Tiger. 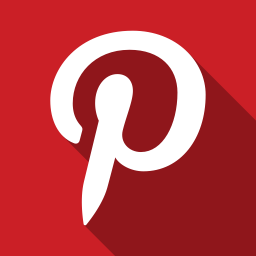 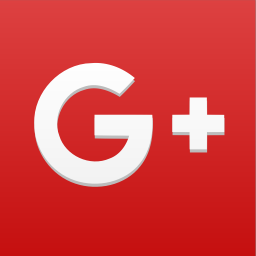 The symbol represents strength, ferocity, determination, and ambition. 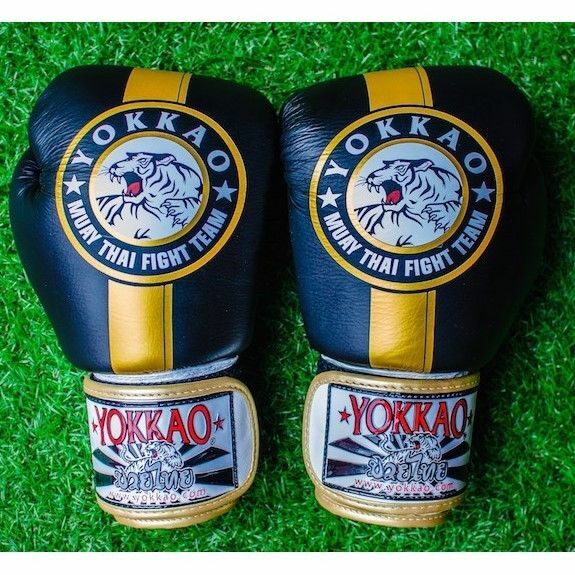 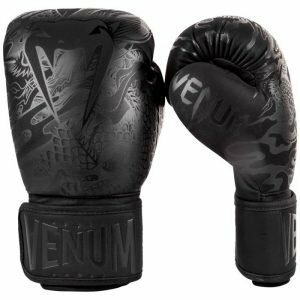 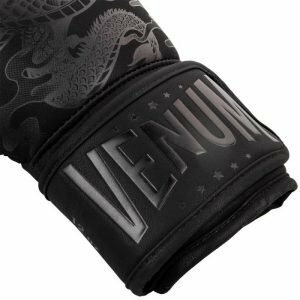 Like all YOKKAO Muay Thai Boxing gloves, the Official Fight Team gloves have been designed and built to provide peak performance during sparring, competition or everyday training at the gym. 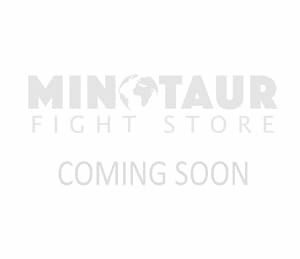 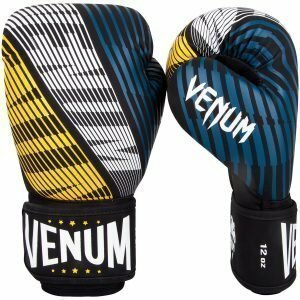 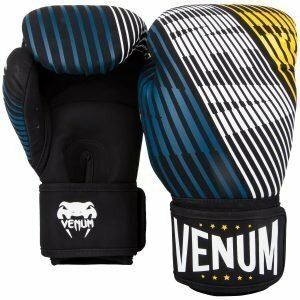 These gloves are handmade in Thailand using premium leather and offer an attached thumb combined with wide hook and loop straps for added safety. 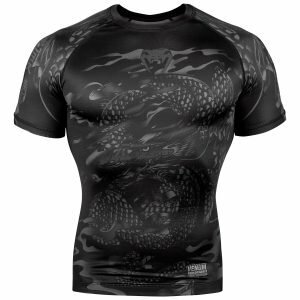 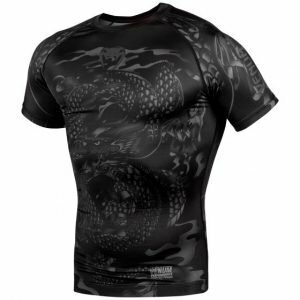 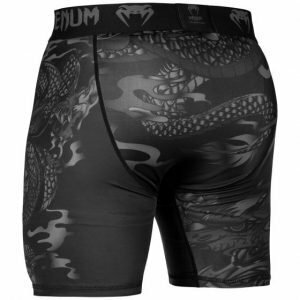 They are also created using triple density foam for unparalleled impact distribution/absorption. 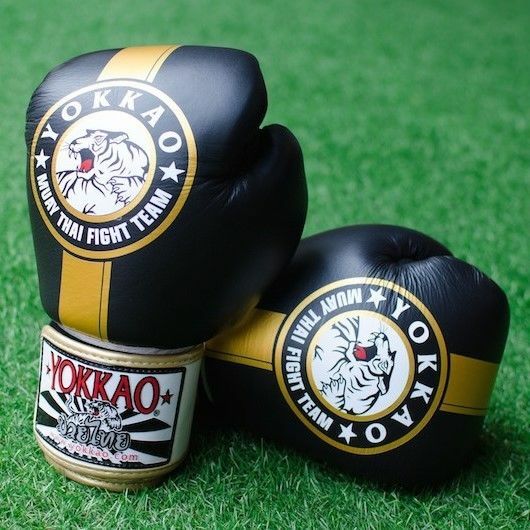 The Fight Team Gloves represent the dedication of YOKKAO for everyone who loves Muay Thai!